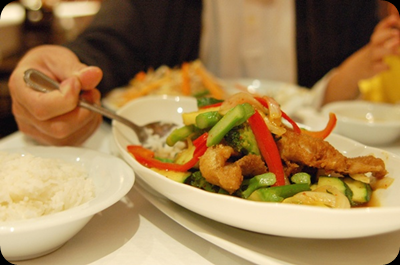 Thai Bistro was recommended to me by a loyal customer who happened to know that the owners are Cambodian. 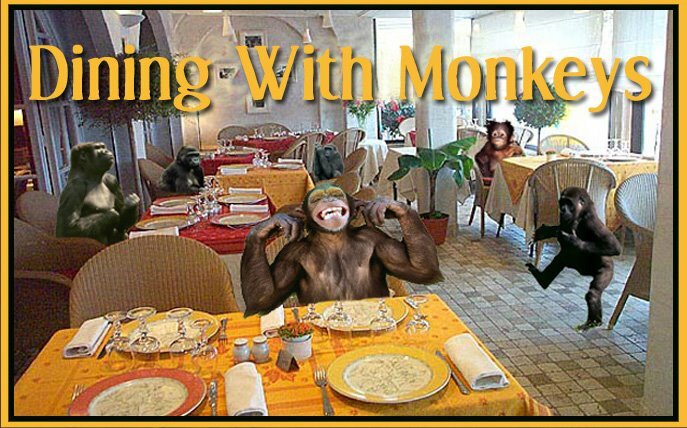 I had been on an unproductive search for a local Khmer cuisine restaurant to do a special celebration of my home country, so visiting Thai Bistro with our dinner group was the next best thing (without me cooking for 20 people). I mentioned then that Thai cuisine was actually rooted from Khmer cuisine, a type of cuisine my four-year-old, Atticus, craves quite often. See below to see what we tasted on our recent visit. 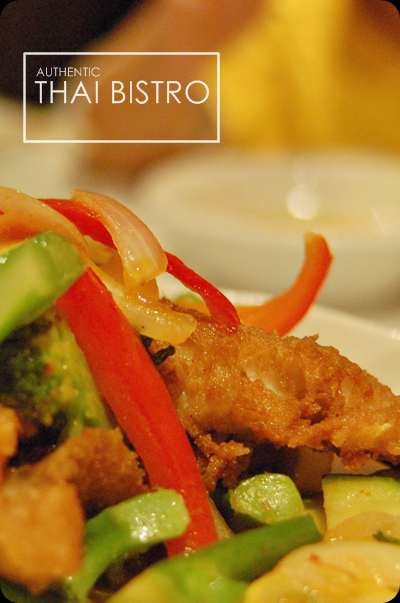 ~ Pla- Dook with fried catfish, mixed vegetables, and homemade chili sauce. 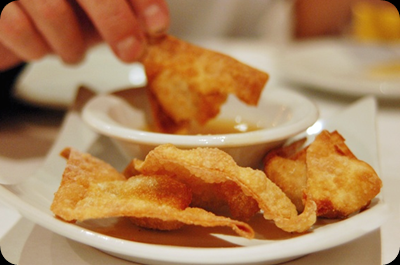 Anytime I want to persuade Atticus to eat anything, I use the words “crispy, sweet, or sour,” so the fried wontons with the sweet and sour sauce were a great choice of appetizers as it hit every single key word. We then ordered a spicy fish dish, Pla-Dook, to fulfill my cravings and Pad Thai, one of my husband’s favorite dishes, that he could share with Atticus. 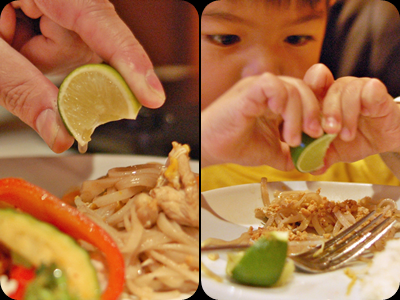 As you can tell from the photos below, limes are a very important finishing ingredient to the way we enjoy Asian food. Atticus almost had to squeeze drops for every bite. Sometimes I ponder whether Atticus’ taste for Asian food is just in his genes. He even loves the fish sauce we make for dipping that disgust some adults. 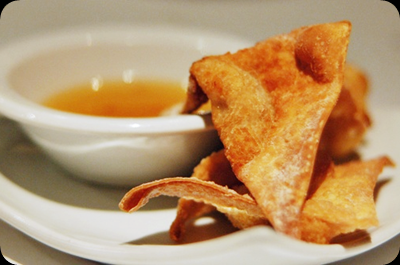 As for the Pad Thai and most of the dishes at Thai Bistro, the flavors seem irresistible even to new palettes. 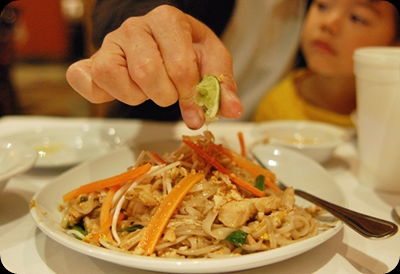 Pad Thai is on the kid’s menu as the one noodle dish among the other popular options of fried rice and chicken fingers. 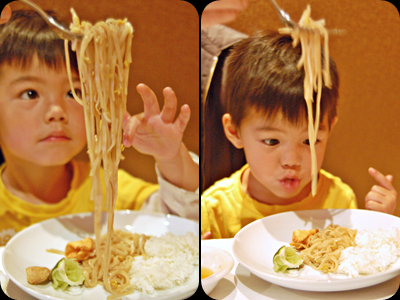 What kid can resist noodles? I can attest to the fact noodles are fun for Atticus to slurp. You can see in the photo he’s going cross-eyed watching it go in his mouth. 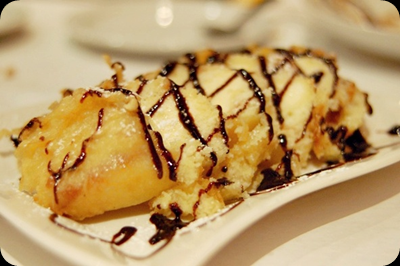 Finally, the moment we’d all been waiting for, was the fried ice cream dessert that was so superb the first time we ate there. We enjoyed it just as much the second time.